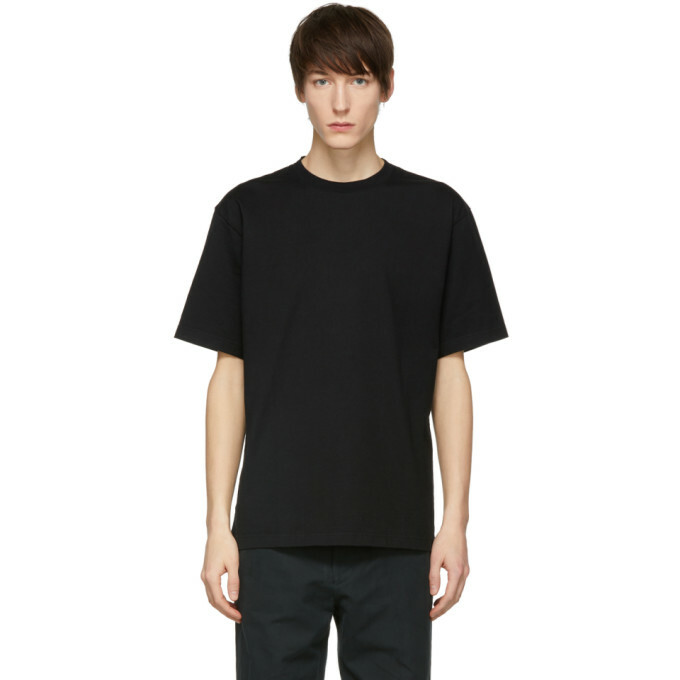 Short sleeve 'heavy' cotton jersey t-shirt in black. Rib knit crewneck collar. Tonal logo embroidered at front. Vented side-seams. Tonal stitching. 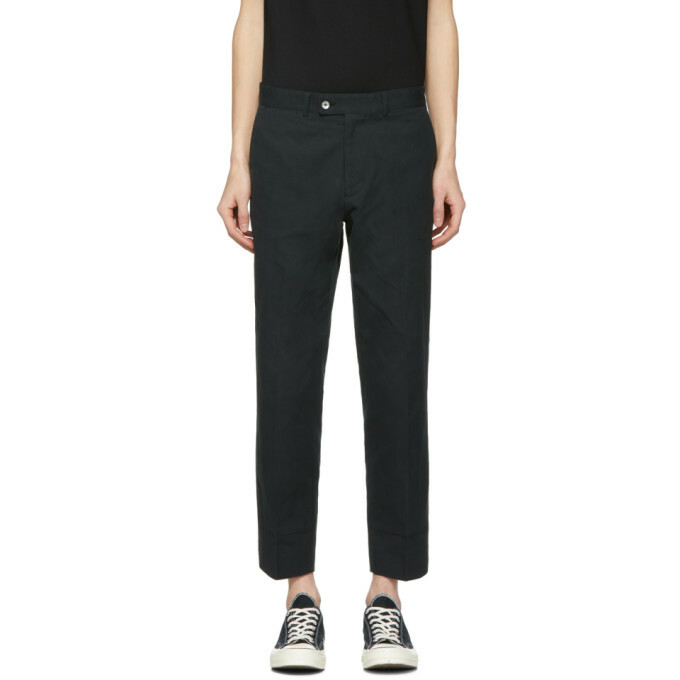 Slim-fit cotton and linen-blend trousers in black. Mid-rise. Four-pocket styling. Central pleat at front. Tonal topstitching at front cuffs. Logo patch at back waistband. Zip-fly. Tonal stitching. 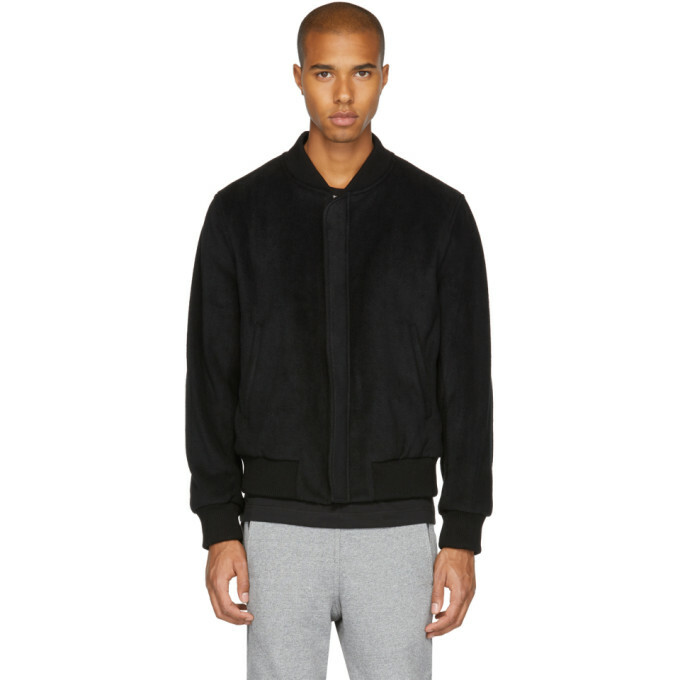 Long sleeve fleece bomber jacket in black. Rib knit stand collar, cuffs, and hem. Concealed zip closure at front. Welt pockets at waist. Welt pocket at fully lined interior. Gunmetal-tone hardware. Tonal stitching. 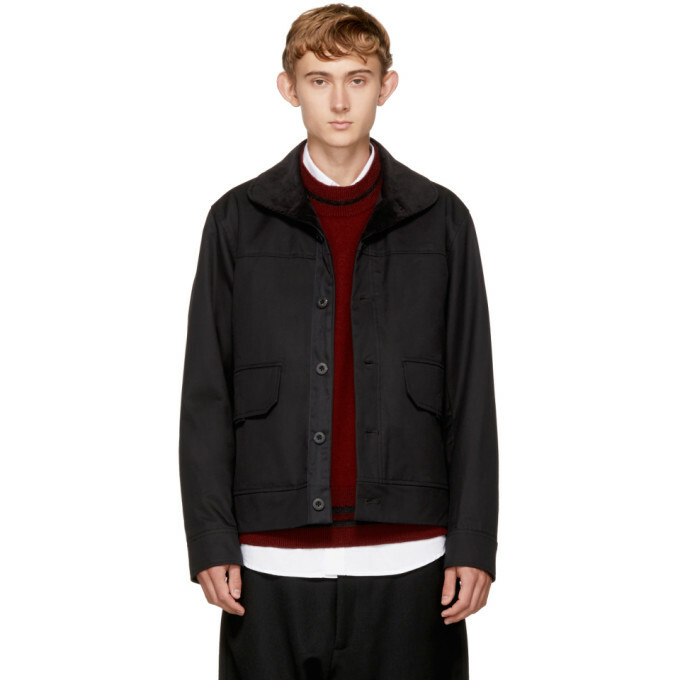 Long sleeve cotton twill jacket in black. Corduroy-trimmed rounded spread collar. Button closure at front. Flap pockets at waist. Adjustable button fastening at cuffs. Welt pockets at fully lined interior. Tonal stitching. 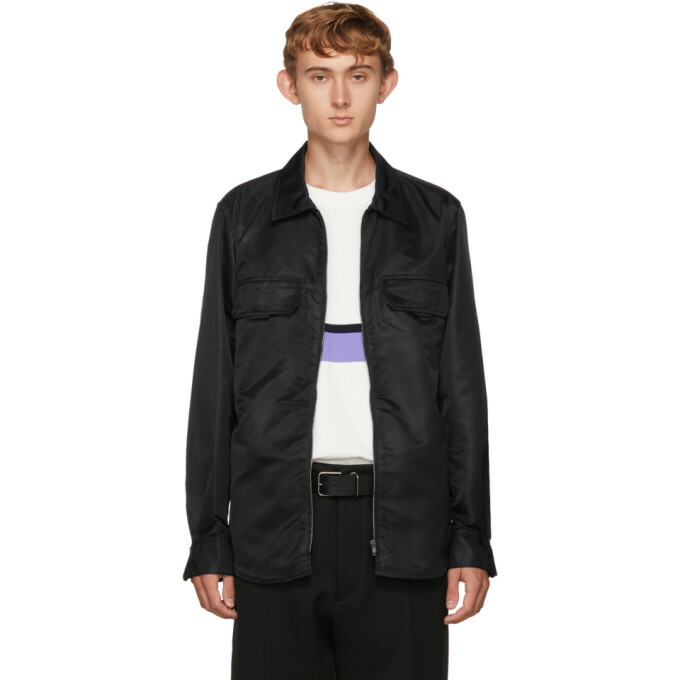 Long sleeve nylon shirt in black. Spread collar. Flap pockets at chest. Zip closure at front. Zippered vent at cuffs. Tonal stitching. 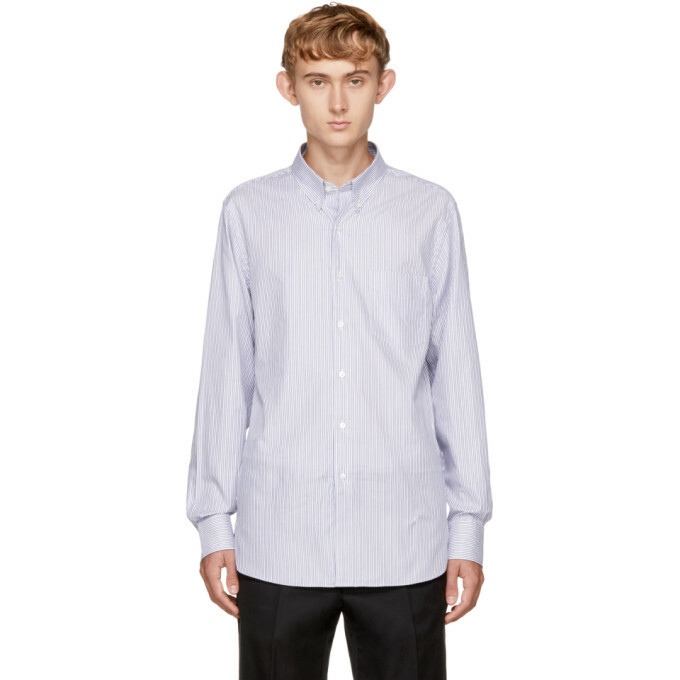 Long sleeve cotton poplin shirt striped in navy and white. Spread collar. Button closure at front. Patch pocket at chest. Vented side-seams. Single-button barrel cuffs. Shirttail hem. Tonal stitching. 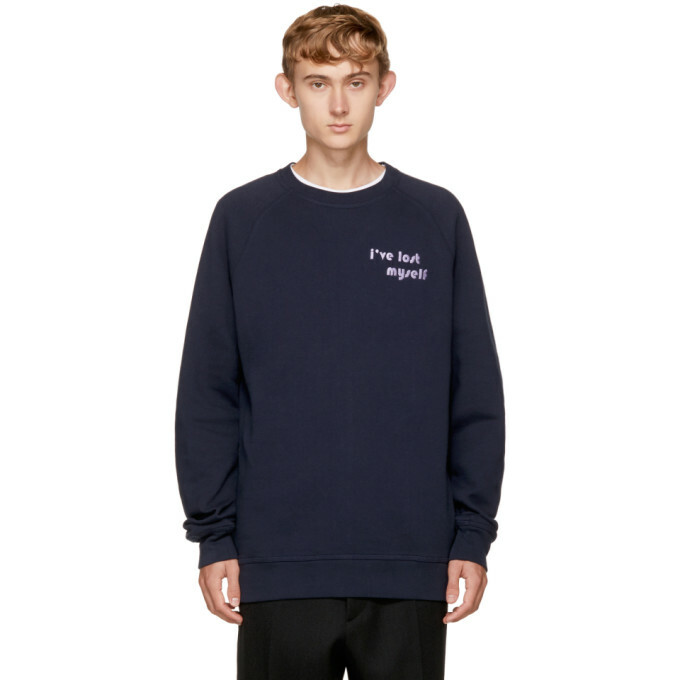 Long sleeve cotton fleece sweatshirt in navy. Rib knit crewneck collar, sleeve cuffs, and hem. Purple text embroidered at chest. Raglan sleeves. Tonal stitching. 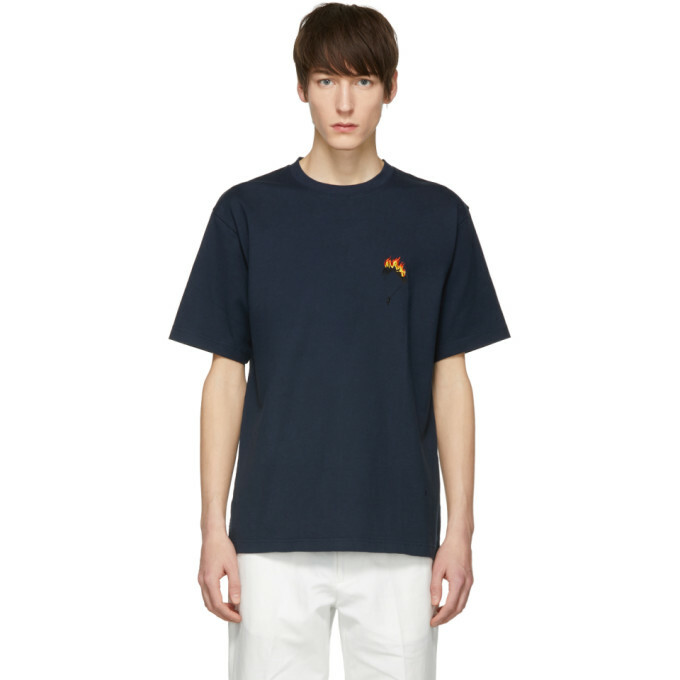 Short sleeve 'heavy' cotton jersey t-shirt in navy. Rib knit crewneck collar. Multicolor graphic embroidered at front. Vented side-seams. Tonal stitching. 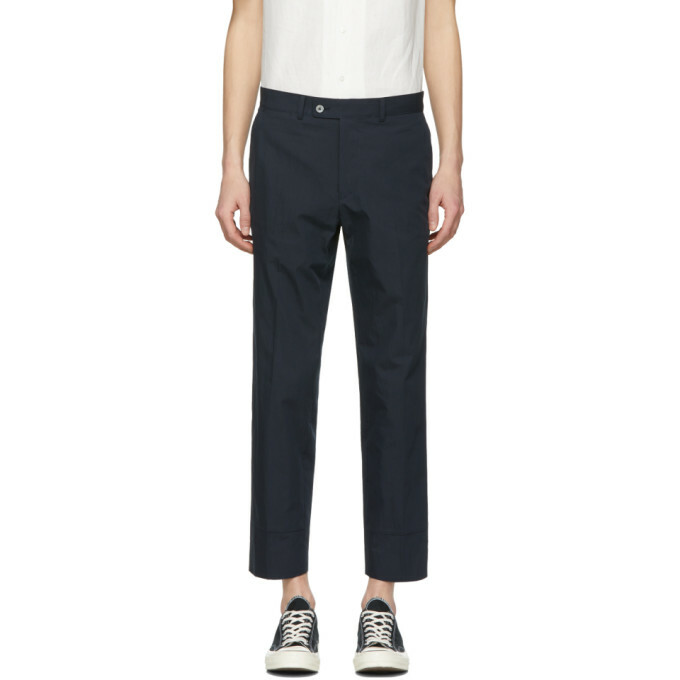 Slim-fit cotton and nylon-blend ripstop trousers in navy. Mid-rise. Four-pocket styling. Central pleat at front. Logo patch at back waistband. Zip-fly. Tonal stitching. 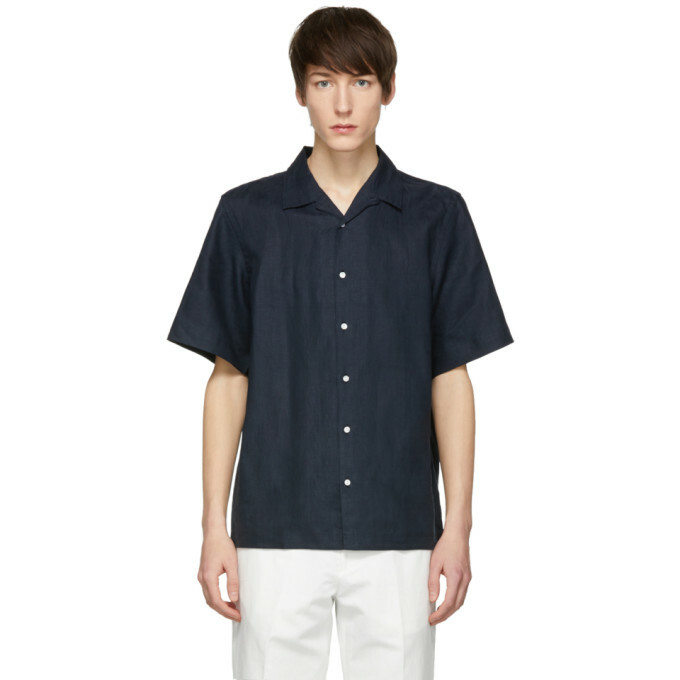 Short sleeve linen shirt in navy. Open spread collar. Button closure at front. Tonal logo embroidered at front. Vented side-seams. Tonal stitching.